BOLIVIA again nominated for the Latin Grammy! 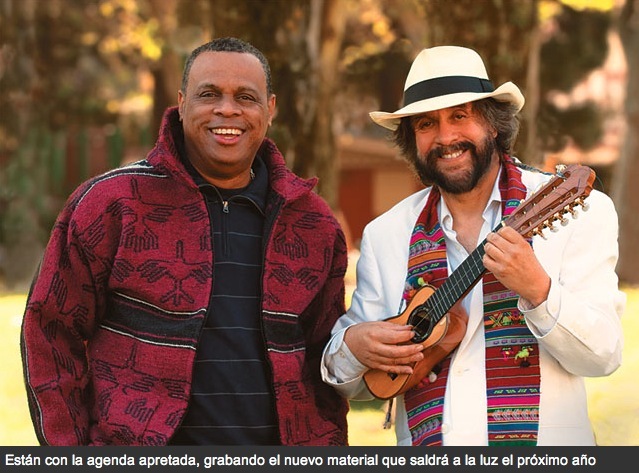 Carnival in piano and charango is the material of the charanguista Eddy Navia and the Cuban pianist Chuchito Valdes, two virtuoso artists who joined their talents to devise a proposal that skillfully combines the Bolivian folklore with tropical and Caribbean flavors. The album, which is available on the internet, not only is the result of the combination of cultures and a pleasure for the ears, but it is the key that opens, for the second consecutive time, the dream that a Bolivian could win for the first time, the Latin Grammy in the history of our country. Eddy Navia, born in Potosi, is the artist who, along with the charango and the experience of having conquered scenarios along with Savia Andina, went to the United States in the 1990s and began making homeland from the outside. In 2011, it was his desire to develop a proposal that the melodies of our country along with Valdes, who said that it was he [Eddy] who encouraged him to take the step. “He relied on me to do something different,” says the Cuban on his friend, who still do not believe that our work is again nominated to the most important Latin music awards. “It is an honor for me to represent Bolivia in this event and that people appreciate the work we have done,” he confesses. The musician competes with Reynaldo Armas, Gaelic, Gualberto Ibarreto and C4 Trio, Los Nocheros and María Mulata in the category best folk album. Carnival inspired the name of the album that includes elements of percussion and drums, including at the suggestion of the international producers which were enthralled with the first bet of musicians, which were nominated last year. Finally the Mexican Lila Downs took the prize. This time, the artists were pleased to include on their record, an interpretation of Jumechi, the traditional Carnival composed by Godofredo Núñez, to highlight the musical richness of our country. Eddy’s voice does not tremble, when accepting that folklore has more acceptance in the United States and Europe than in Latin America; to recognize that he has not heard even the music of his competitors and that he would like to work with Shakira. For him, the charango is the instrument that identifies the country and that on November 21st, could celebrate its first award in the industry. Kudos to Eddy Navia, we are already proud of you! Thank you for bringing Bolivia to the podium of the greatest musicians! This entry was posted in Art, Bolivia, Potosi, Tourism and tagged 2013 Latin Grammy, charango. Bookmark the permalink.